In this study, the simultaneous determination of Paracetamol (PAR), Propyphenazone (PRO) and Caffeine (CAF) in drug samples by chemometric approaches using UV spectrophotometry has been reported as a simple alternative to use separate models for each component. Spectra of Paracetamol PAR, PRO and CAF were recorded at several concentrations within their ranges and were used to compute the calibration mixture between wavelengths 220 and 280 nm at an interval of 5 nm was used for data acquisition. 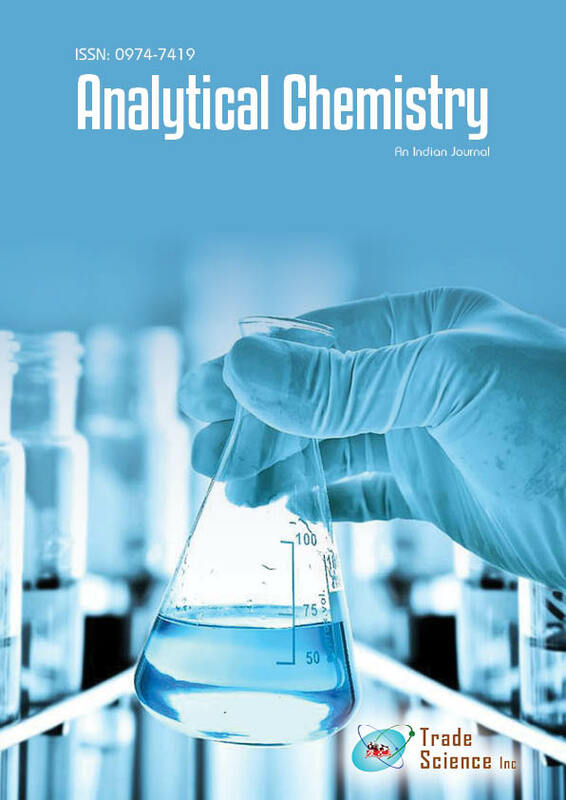 Principal component regression and Partial least squares regression were used for chemometric analysis of data and the parameters of the chemometric procedures were optimized. The analytical performances of these chemometric methods were characterized by predicted residual error sum of squares (PRESS), Standard Error of Prediction (SEP) and recoveries (%) and were compared with each other. A series of synthetic solution containing different concentrations of PAR, PRO and CAF were used to check the prediction ability of the principal component regression and partial least squares. These two methods were successfully applied to real samples, with no interference from excipients as indicated by recovery study results. The outcomes acquired in this examination firmly urge us to apply these strategies for a standard investigation and quality control of the three medications.